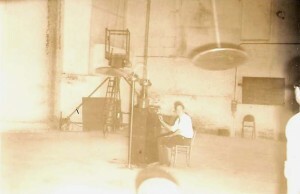 In 1955 and 1956 Townsend Brown made two trips to Paris where he conducted tests of his electrokinetic apparatus and electrogravitic vacuum chamber tests in collaboration with the French aeronautical company Société National de Construction Aeronautiques du Sud Ouest (S.N.C.A.S.O.) . He was invited there by Jacques Cornillon, the company’s U.S. technical representative. The project was named Project Montgolfier in honor of the two French brother inventors who performed early aircraft flights. The project continued for several years until the company changed ownership resulting in a final report which was written up in 1959. Details of the Project Montgolfier experiments remained a closely guarded secret for many years until Jacques Cornillon courageously decided to make them public prior to his death in July 2008. Brown’s proposal, the Montgolier Project’s top secret final report, and an assortment of revealing diagrams will be posted here shortly. Brown’s proposal is in English, whereas the secret Montgolfier Project final report is in French. 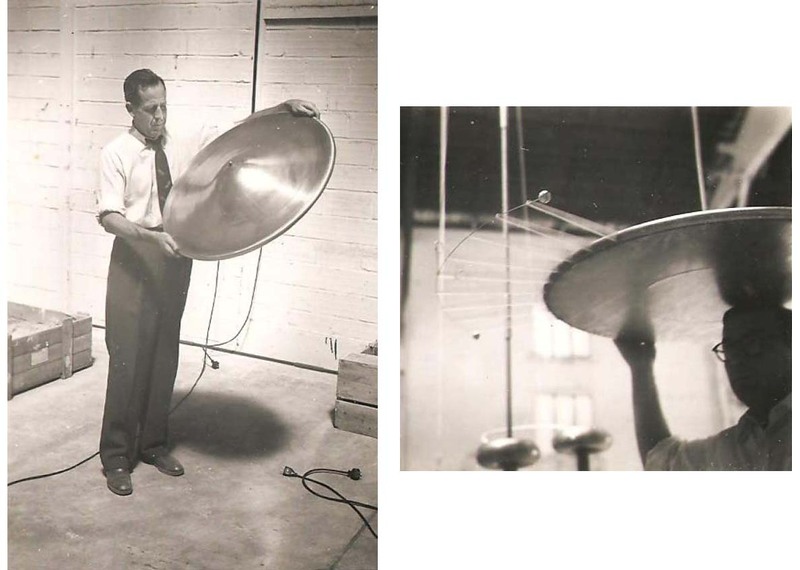 The flying disc carousel experiment that the Montgolfier Project conducted in 1955 used 2-1/2 foot diameter discs (75 cm dia.) hung from 4 meter tethers suspended from the ends of a 3 meter arm. Based on the description given, this seems to have been almost the same flying disc test that Brown gave to the Navy at Pearl Harbor a year or two earlier. Based on the angle of the disc suspension cable seen in the photo on the right below, one may estimate that the disc was traveling at a speed of ~8.7 meters per second, or about 20 mph. It would have completed one revolution of its 18 meter course in 2 seconds. Brown had finished his collaboration with S.N.C.A.S.O. in 1956. 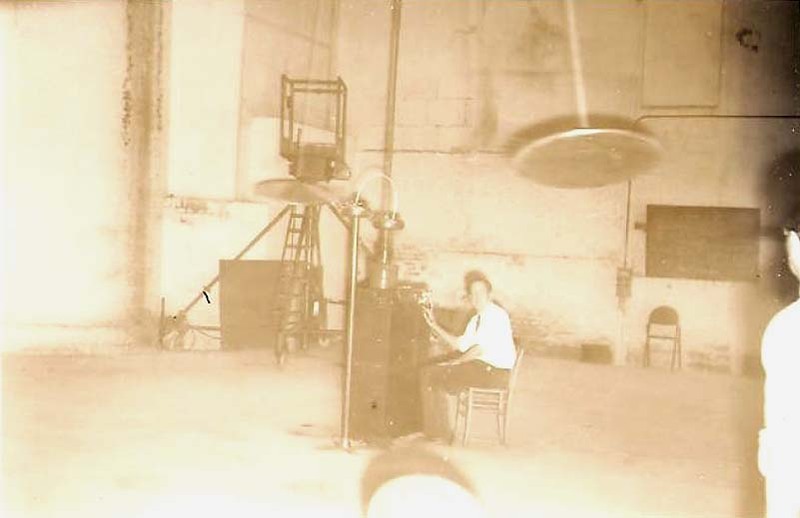 From a letter that Mr. Cornillon later wrote to a colleague, we learn that in October 1957 Brown was in the process of test flying 10 foot diameter discs energized at a voltage of 300 kV! Here we see that Brown had followed the plan he had first set out in his 1952 Project Winterhaven proposal which was to eventually test fly a ten foot diameter disc powered by 500 kV (70% more voltage than he used in his 1957 test flight). Hence we see that by this early date Brown had progressed beyond the toy model stage to flying small scale aircraft. To reach this stage he must have been receiving substantial funding from either the military or from a major corporation. More about Project Winterhaven and Brown’s research may be found in the book Secrets of Antigravity Propulsion. 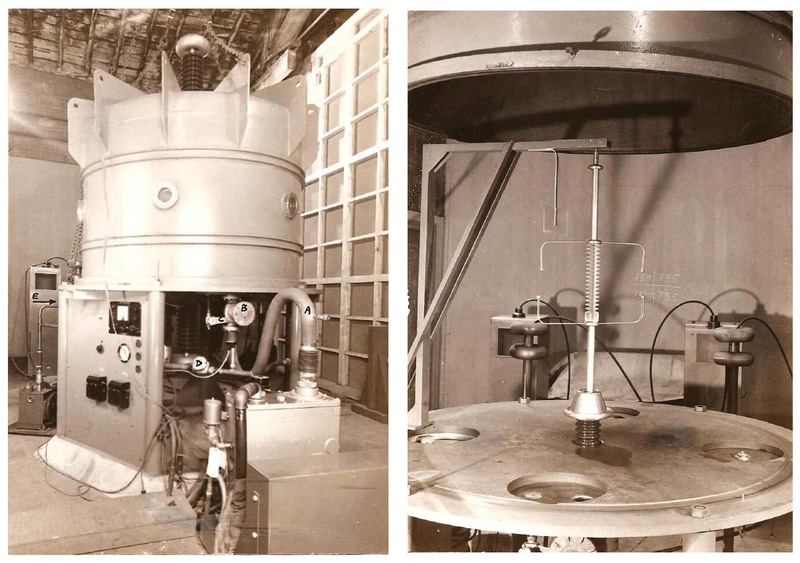 In addition the Project Montgolfier team constructed a very large vacuum chamber for performing vacuum tests of smaller discs at a pressure of 5 X 10-5 mm Hg; see below. In reading the section describing the vacuum chamber results, we learn that when the discs are operated at atmospheric pressure they move in the direction of the leading edge wire regardless of outboard wire polarity. This indicates that in normal atmospheric conditions the discs are propelled forward primarily by unbalanced electrostatic forces due to the prevailing nonlinear field configuration (which causes thrust in the direction of the low field intensity ion cloud regardless of the ion polarity). On the other hand, the report says that under high vacuum conditions the discs always moved in the direction of the positive pole, regardless of the polarity on the outboard wire. This indicates that in the absence of the unbalanced forces exerted by ion clouds, the discs moved mainly on the basis of the electrogravitic field effect, always toward the positive (negative G) direction. Starburst Forum: Electrogravitics and Field Propulsion | Powered by Mantra & WordPress.